On Saturday night, the starving people of Gaza opened up a luxury mall. 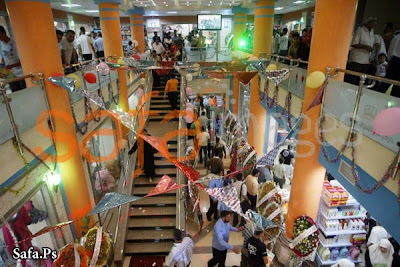 At opening ceremonies attended by ministers and government officials, the Gaza Mall is a multi-story shopping center that includes food, clothing, perfumes, shoes, household appliances, office supplies and more. 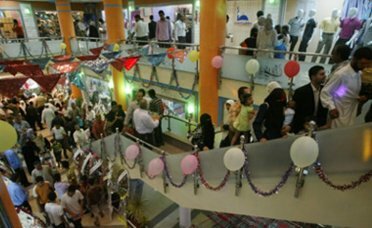 The mall has a website, where we can see that it has air conditioning and parking, as well as delivery and other amenities that one would expect in any major mall. 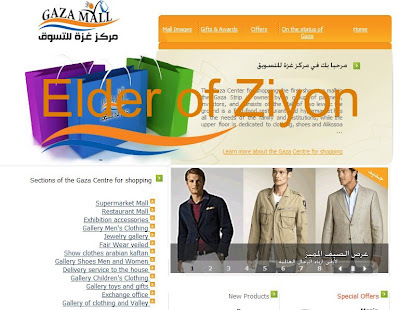 The mall web page advertises "Israeli men's trousers at an attractive price," men's shirts from the US, girl's dresses from France and boy's pants from Turkey. 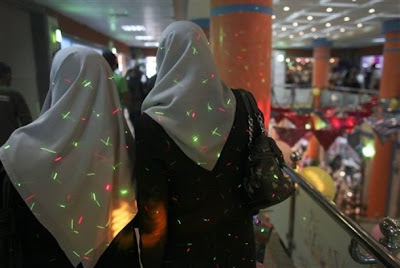 The humanitarian crisis continues to grow in Gaza. UPDATE: AP had pictures as well - but no accompanying story. Also, i just emailed Catherine Ashton, European Union's foreign policy chief, who is now visiting Gaza, if she will have the opportunity to visit this mall. UPDATE: More heartbreaking photos here. UPDATE 2: And now we have video! Truly tragic!